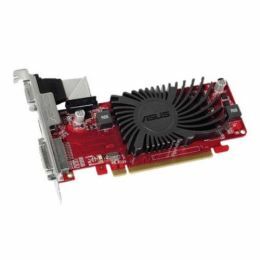 Lowers graphics card EMI by 66% for more stable operation, clearer display, and safer computing. Low profile graphics cards for HTPC and multimedia PCs support smooth 1280 x 1024 gaming and Blu-ray 3D. GPU Tweak helps you modify clock speeds, voltages, fan performance and more, all via an intuitive interface. GPU Tweak Streaming tool allows you to share on-screen action in real-time. Add scrolling text, pictures, and webcam images to the streaming window easily. Multi-GPU technology for extreme performance. Immerse in stereoscopic 3D gaming and get up close and personal with your favorite stars while watching Blu-ray 3D. AMD HD3D is also designed for professionals who create complex visual effects and detailed data visualizations.